With a stay at Darwin Poinciana Inn, you'll be centrally located in Darwin, a 4-minute drive from Cullen Bay Marina and 5 minutes from Darwin Waterfront. 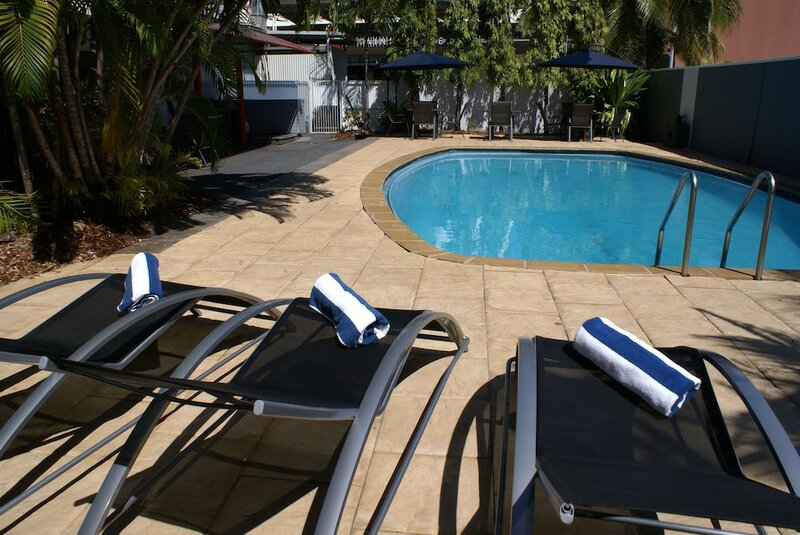 This hotel is 6.9 mi (11.1 km) from Casuarina Beach and 0.1 mi (0.1 km) from Darwin Entertainment Centre. Make yourself at home in one of the 51 air-conditioned rooms featuring refrigerators. Wireless Internet access (surcharge) keeps you connected, and digital programming is available for your entertainment. Bathrooms have showers and hair dryers. Conveniences include desks and coffee/tea makers. Enjoy recreation amenities such as an outdoor pool or take in the view from a garden. Additional features at this hotel include complimentary wireless Internet access, tour/ticket assistance, and barbecue grills. Getting to nearby attractions is a breeze with the area shuttle (surcharge).